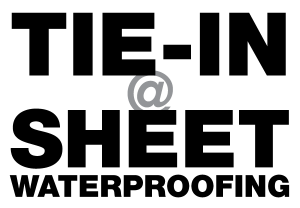 This drawing shows a typical detail / method used when tying in polyurea coatings to existing sheet waterproofing on a concrete substrate. Disclaimer: This drawing is intended for information use only. Any dimensions included in this drawing are based on estimates or industry standards, and are not guaranteed to be accurate. The person(s) and/or company(s) using this drawing are responsible for determining the final dimensions prior to construction. 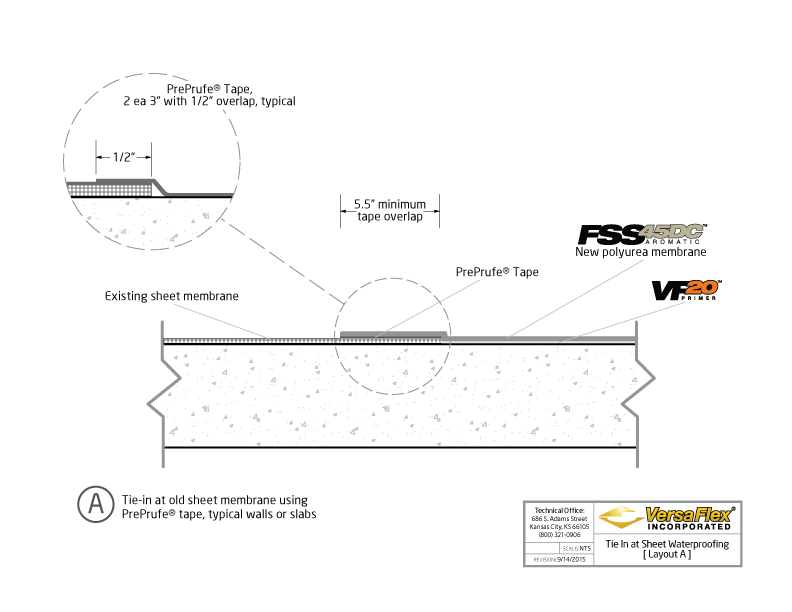 VersaFlex Incorporated is providing this drawing with the sole intention of illustrating the placed of the VersaFlex waterproofing product(s) and system(s). VersaFlex Incorporated is not making any recommendations for the construction methods or designs, and this drawing shall not be interpreted as such.